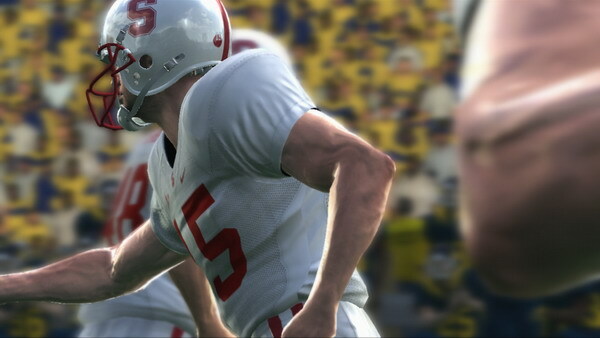 EA Sports has made a big deal about Madden NFL 2010's new online co-op mode. It appears though that EA's other big football game this year will also feature cooperative play, at least if the official achievement list is anything to go by. 360Sync.com has gotten a hold of NCAA 2010's achievements and according to most of them - well according to most of them you can't get them in the game's co-op mode. Jar the ball loose with a User-Controlled Hit Stick tackle (excludes co-op). In fact we count over half of the achievements are tagged with an "(excludes co-op)" description. The really sad part? There doesn't seem to be any co-op specific achievements. Ah well, perhaps next year. Page created in 0.5873 seconds.